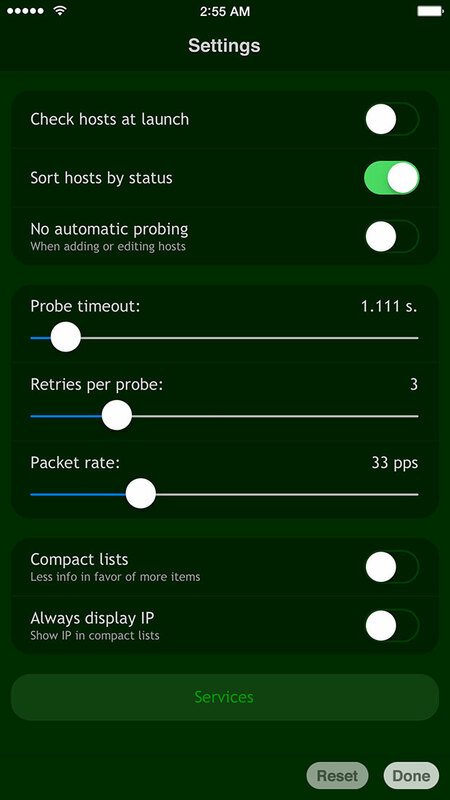 Net Status is a very simple and very fast network and port checking, testing and monitoring app for iPhone, iPad and iOS. 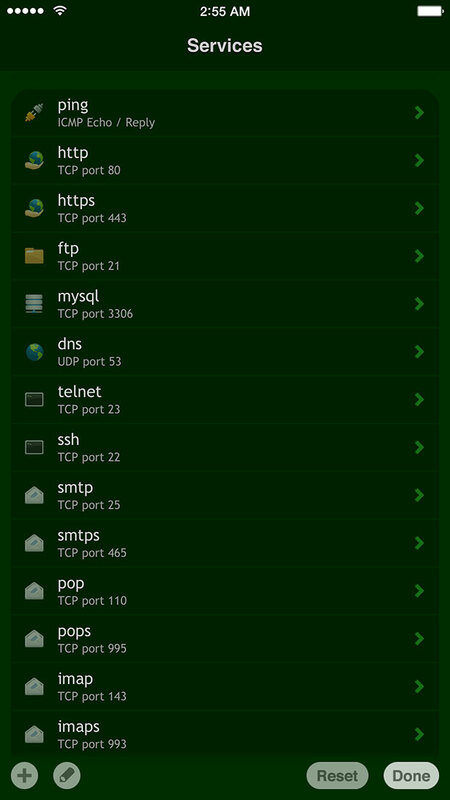 Easy to use and to set up it allows adding own, custom ports and services. Must have tool for a network professional. 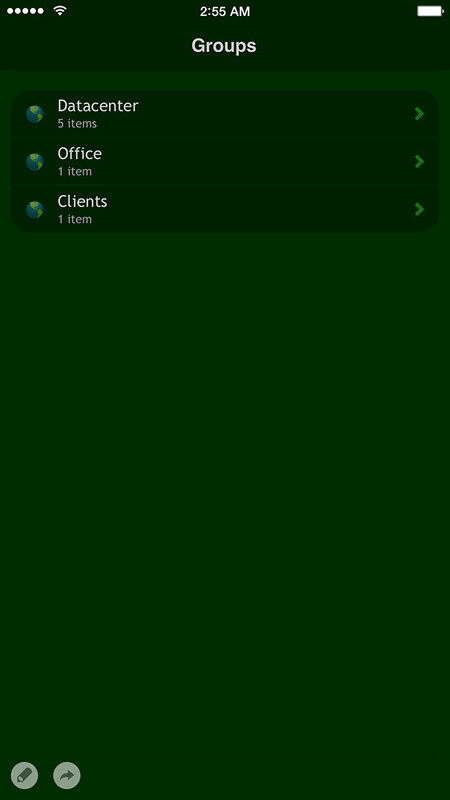 Using Net Status you can get a fast glimpse of what is happening now with your hosts, routers and other network devices connected to the Internet or LAN. Net Status checks network services your hosts run for availability and present the information in a convenient way aiming at providing a faster way to diagnose network problems. 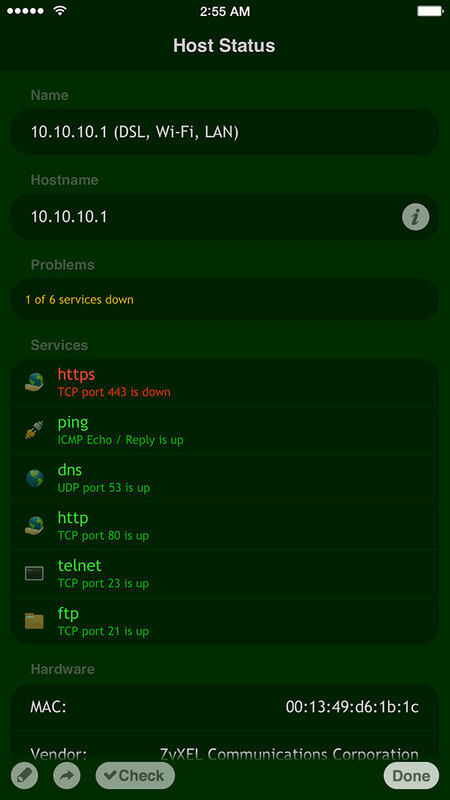 With Net Status you can quickly and easily determine which hosts and services are down from your monitoring list. Network probes are performed using asynchronous algorithms that allow Net Status to operate quite fast — a host with quite a lot of running services is checked within fractions of a second. Even problematic hosts don’t slow down the check process for a time much longer than a timeout you specify.